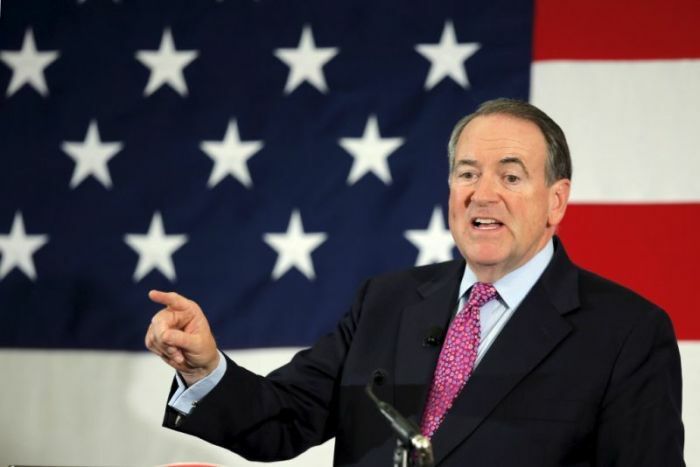 Former Arkansas governor Mike Huckabee has joined the My Faith Votes initiative as honorary national chairman, and warned that unless Christians step up and vote, America could be facing an "irreversible" decline. "I could not be more thrilled to accept this role as the new honorary national chairman of My Faith Votes. For nearly 40 years, as a pastor, governor and presidential candidate, I've never been more convinced of this: Christians will determine every election in America if they just show up," Huckabee said in a press release Thursday announcing the news. "We've reached a tipping point in America's history, and we'll either emerge from it stronger and better than ever before or we'll slide into an irreversible decline. It's time for people of faith to step up to the plate and lead our nation." My Faith Votes, which describes itself as "a non-partisan movement inspiring Christians to vote," was heavily involved in the 2016 presidential campaign, and helped activate some of the 25 million evangelicals who were registered to vote in previous elections but had chosen not to. Huckabee succeeds Dr. Ben Carson, another former Republican presidential candidate, as honorary national chairman. Back in October 2016, Carson warned that Christians are facing an "all-out attack" on their religious freedom. "Laws are being passed both here and around the globe that continue to erode our rights to share the Gospel, and to live our lives according to the Bible. Courts are now ruling that laws that have protected our churches and businesses for decades are unconstitutional," Carson warned at the time. Carson teamed up with actor and Christian film producer Kirk Cameron in sending messages to Christians in America, warning them that "when you don't vote, you're voting." The retired neurosurgeon further warned that the secular, progressive movement is trying to eradicate all vestiges of faith, but noted that "Judeo-Christian principles were right there as our country was founded." Jason Yates, CEO of My Faith Votes, described Huckabee, who has also served as a minister, as an "icon" in the conservative movement. "He understands as well as anyone why people of faith must be involved in the public square," Yates said. "During a time when crucial decisions on immigration, healthcare, religious freedom and the sanctity of human life will be made, Christians must be involved in the national debates more than ever before." Huckabee added in the press release, "My goal is simple: to see every single Christian in America show up during every single election to make their voices heard." Huckabee regularly comments on social and political movements in America on his website. Back in January he condemned the global Women's March for expressing "violent, eliminationist rhetoric" and "unfocused rage" at Democrat Hillary Clinton's presidential election loss. Huckabee has also appeared on a number of occasions on atheist HBO host Bill Maher's show, defending conservative Christian beliefs in America. He has praised Maher for continuing to invite him, pointing out that many other liberal hosts refuse to engage with conservatives.